In telling the unceasingly unconventional story of Lloyd Copeman, it’s fitting to start at the end. Relatively anonymous despite numerous impactful inventions during the first half of the 20th century, he was such a prolific innovator that some of his patents were approved after he died in 1956. Best known among Copeman’s 650-700 patents are the heat-regulated electric stove, flexible ice cube tray and an automatic electric toaster. At one point he was a millionaire—a highly rare distinction in the first half of the 1900s—ran his own companies, lived on a large estate, and reportedly knew Thomas Edison and Henry Ford. But as the middle of the century approached, income from his patents had dried up. He had sold his sprawling family farm east of Flint, Michigan, and faced having to apply for Social Security benefits. Worst of all, his childhood sweetheart and wife of more than four decades was seriously ill. So much had changed, but so much was not going to change. Copeman kept brainstorming and creating. To help comfort his bedridden Hazel at their rural home, where residential air-conditioning was not commonly available, he mounted sprinklers on the roof of the house and pumped cold water through them to cool the shingles and lower the temperature in the room where she rested. Then he designed a system of pipes in her room for cold water to run through. Hazel Copeman was as comfortable as possible until her death in 1950. Lloyd Copeman was always as comfortable as possible doing what he loved the most, with uncanny precision and vision. Few inventors in American history—including many who are in the National Inventors Hall of Fame—have accomplished more. Kent Copeman vividly recalls some wide-eyed days in his grandfather’s basement workshop in the tiny village of Farmers Creek, Michigan. Once he turned 10, Kent would frequently bicycle the four miles from his Hadley home to the large estate, marveling at the possibilities and finished works downstairs. By the time of these educational mid-1940s afternoons, Lloyd Copeman had long since been a big deal who was making big deals. He told his grandson that he could walk into any store and see some of his inventions. It didn’t happen overnight. His inventing breakthrough came in the early 1900s: a thermostat that gave a warning when transformer stations for high-tension wires were ready to burn out. His electro-thermostatic heat regulator, which controlled the amount of heat generated by a heating element, became U.S. Patent No. 932,966 in 1909. When Copeman told Flint businessman Josiah Dallas Dort about his idea for an electric stove, Dort and 22 stockholders raised a half-million dollars to form the Copeman Electric Stove Co. in 1912. The stove—invented in 1915 and promoted as “the fireless cooker”—featured removable round hot plates that were plugged into outlets on the top and inside the ovens. Family sources also say that she made a prototype using hairpins. 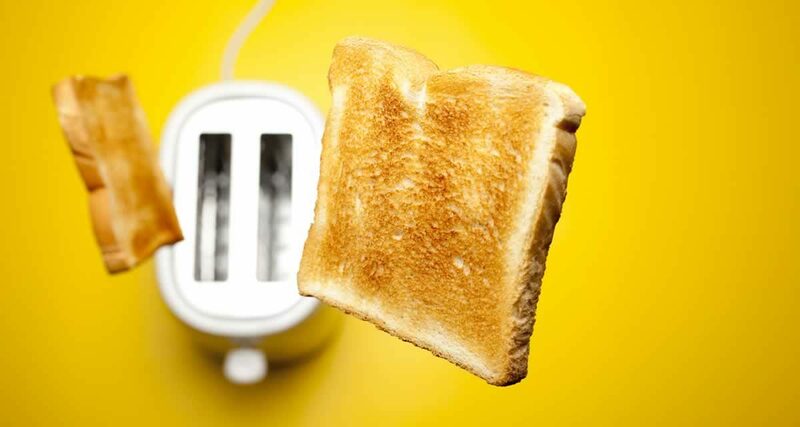 Eventually, the first toaster that allowed the toast to be “turned” without touching the bread was complete; Hazel received the patent in 1914; and rival companies wanting to make toasters had to pay royalties to Copeman or find another way to turn the toast until the pop-up toaster came along later. Appliance behemoth Westinghouse absorbed Copeman’s company in 1918. He also profited handsomely by selling the rights to his rubber ice cube tray to General Motors Corp., not long after that 1928 invention. Per lloydcopeman.com, a website compiled by family members: “While he was out collecting maple sap in the sugar bush one cold February day, the ice and slush began to collect and freeze on Copeman’s rubber boots. He sat down and contemplatively worked the toe of his rubber boots. “He watched somewhat disinterestedly at first as the ice cracked and flew off the boots. ‘Oh, my God, a rubber ice tray,’ exclaimed Copeman.” The result was the biggest money-making patent of Copeman’s career (royalties alone netted more than $1 million). Among several hundred other inventions by Copeman was an automobile lubrication system that greased automobile bearings and other mechanical equipment for a quicker, easier and cleaner process. He eventually sold the Copeman Lubricating System or Copeman Lubri-Caps to Alemite Corp., which further refined it. One of his later inventions, the Flexo-Line travel clothesline (1943), is still manufactured and currently celebrating its 75th anniversary. Copeman had a strong interest in rubber latex for many years. According to the family, that obsession resulted in inventions that included non-run silk stockings; tamper-proof and water-proof envelopes and packages, and rust-proofing automobiles. He patented all of those but the car rust-proofing. He loved sharing his creations, even the ones for which he was not known: “They built a large pool on his property that held 100,000 gallons of water. It was the first concrete pool in this part of Michigan. It’s still there. I think it was built in 1929 and used every day. It still does not leak. This was before anybody had pools in their yard. Given Copeman’s resume and impact on American life, The Flexo-Line Co. co-owner Andrea Perchotte is proud to help drive the campaign for his induction into the National Inventors Hall of Fame. “His inventions have been indispensable to them and the general public in the United States and around the world. Forward-thinking and passionate about inventing, Mr. Copeman persevered to develop innovative products that would benefit others and reshape the future. His goal was not to accumulate wealth but rather to continually invest his money into developing new ideas. DesignWanted named Copeman among the 10 most influential product designers of all time. His story and accomplishments have been featured in numerous publications that can be found at flexo-line.com/about/. Kent Copeman said the family-created website—which includes a list of all of his known U.S. patents—has been instrumental in publicizing his grandfather’s accomplishments. Now that many of those family members now in their 80s and older, they want to see Lloyd Copeman get his deserved recognition while they are still alive.